Exposure to the high radiation dose of a CT scan seems justified for a trauma patient because of the rapid diagnosis it can provide. 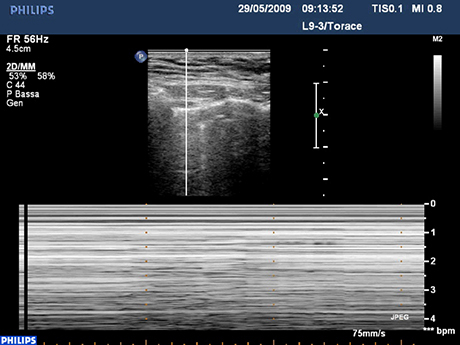 But for trauma patients with suspected chest and/or abdominal injuries, chest abdominal-focused assessment sonography for trauma (CA-FAST) provides a rapid, radiation-free alternative for an initial imaging investigation, according to a study published in the European Journal of Trauma and Emergency Surgery. In their article, emergency physicians at Careggi University Hospital in Florence, Italy, describe the findings of 601 consecutive adult trauma patients who underwent both a CA-FAST examination and a thoracoabdominal CT scan during a 12 month period starting November 2012.Their objective was to evaluate the feasibility and diagnostic performance of the CA-FAST protocol they developed. Lead author Maurizio Zanobetti, MD, chief of the Emergency Ultrasound School,and colleagues were impressed by the reported 92-97% accuracy of FAST in identifying intraperitoneal and intrapericardial bleeding, and in the ability of Extended-FAST (E-FAST) of also detecting pneumothorax and hemotorax. In view of the fact previously published studies showed that chest ultrasonography had a high accuracy rate in detecting lung contusions, they developed a new protocol that integrated the detection of lung contusions in the E-FAST examination. This CA-FAST protocol consists of a combined ultrasonographic evaluation of the chest and abdomen consisting of eight chest scans and four abdominal scans acquired with a patient in a supine position using spinal boards and cervical collars. 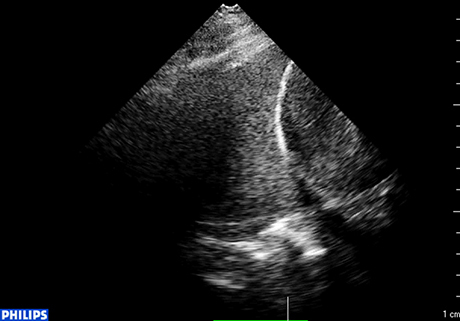 The chest ultrasound portion evaluated each hemothorax in two anterior and two lateral areas. The abdominal ultrasound portion acquired the standard perihepatic, perisplenic, pelvic, and pericardial sub-xiphoid views of a FAST examination. The time to perform the exam ranged from four to 10 minutes in duration, with a mean of seven minutes. The 601 examinations were performed by both senior emergency physicians and residents in emergency medicine. The chest ultrasound exams detected 93.4% of the total number of pneumothoraxes identified by CT (411 out of 440), 64.1% of hemotoraxes (109 out of 170), and 55.7% of the lung contusions (293 out of 526). The abdominal ultrasound exams detected 92.8% of the patients with free fluid (116 out of 125 cases). 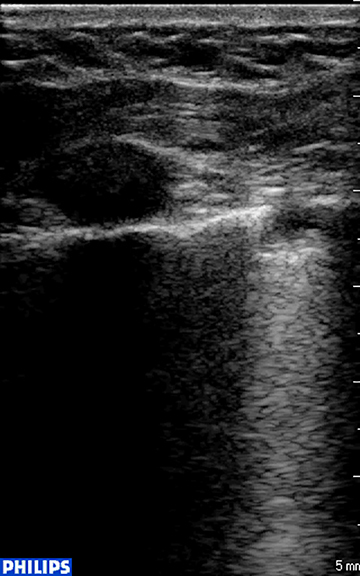 The authors recommend the use of CA-FAST ultrasonography as the initial diagnostic imaging examination for patients presenting with suspected chest and/or abdominal trauma because it is rapid, easily repeatable and reproducible, inexpensive, immediately available, and may prevent high radiation dose exposure to a potentially high percentage of patients. It also offers an alternative to CT scanning for patients who may be hemodynamically unstable. Zanobetti M, Coppa A, Nazerian P, et al. Chest Abdominal-Focused Assessment Sonography for Trauma during the primary survey in the Emergency Department: the CA-FAST protocol. Eur J Trauma Emerg Surg. Published online December 18, 2015. CA-FAST Ultrasound: An alternative to chest CT as initial exam for trauma patients. Appl Radiol.